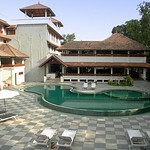 This is a selection of hotels in Thekkady, which is the hill station region of Kerala. 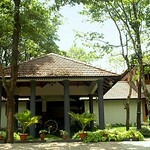 (We also have a Kerala Guide with information about Thekkady). 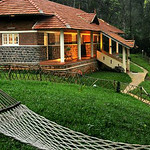 Thekkady covers the resort areas of Periyar of Tiger Reserve fame and the higher Munnar Tea Gardens. 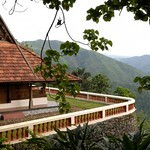 They are separated by a scenic road drive that travels along the spine of the Western Ghat Mountains from North to South. You can book all these properties through us, simply call or email us and you can also ask us advice concerning which will suit your especial needs. Jungle Hideaway with 2 bedrooms built on its own rock. 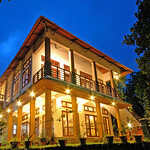 A unique plantation hideout features two fully furnished bedrooms and one villa suite room, a two bed private spa, dining area on a covered bridge, common fire-place and a reading room and 100 acres of lush green cardamom plantation. 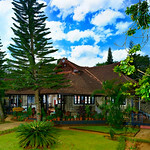 Green Woods is located on a quaint hill, surrounded by spice plantation, besides being just a few minutes walk from the Thekkady Periyar Tiger Reserve. 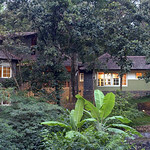 Wildernest is cosy resort nestled at the Periyar Wildlife Sanctuary on the Thekkady Road in Idukki, Kerala. 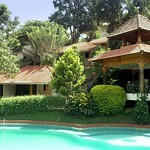 The resort boasts 10 spacious rooms that have adequate space as well as well furnished with all the adequate amenities. 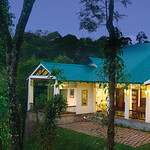 Carmelia haven is a spectacular cardamom plantation retreat that is located in Vandanmedu near Thekkady. 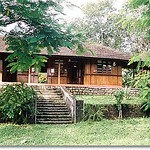 This is one of the prominent eco-friendly resorts. Perfect location with valley view. 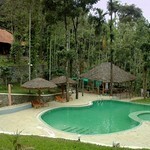 Located between Thekkady and Munnar. Built on a hill-side, all cottages in Cardamom County are tastefully furnished in contemporary style, which offer good-value for money. There is a rooftop yoga room and an ayurvedic centre. 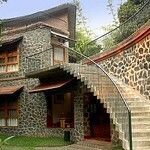 This home stay has been built in sync with the traditional style of Kerala architecture. 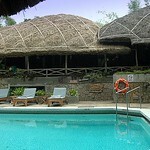 Made predominantly of Teak wood, the home stay features lounge as well as sunlit verandahs. A far off silent location at Vandenmedu. 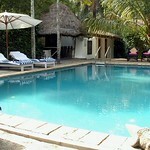 An exclusive place for relaxing. A jungle resort bordering the Periyar Tiger Reserve, you can experience the delights of a jungle lodge with elaborate portions of luxury with a warm hospitality.